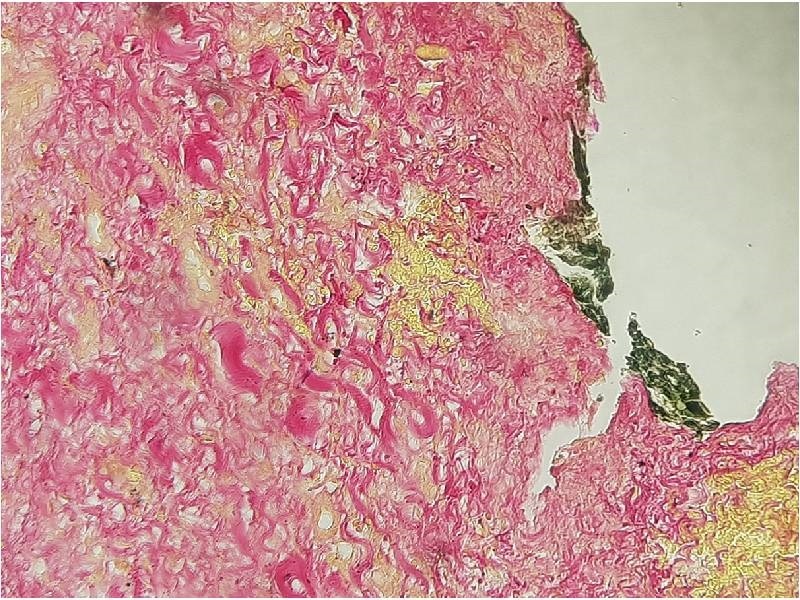 The kit supplies reagents for Fouchet-Van Gieson staining protocol to highlight simultaneously bilirubin connective tissue and collagen in histological section. Bilirubin is a yellow-brown pigment resulting from hemoglobin catabolism; it turns green due to oxidation induced by Fouchet solution. The counterstaining with Van Gieson Picrofuchsin allows differentiating tissue and collagen.